If you want to equip your home theater completely, a good AV receiver should not be missing. The rather inconspicuous, surprisingly compact device takes on an important function as a switching point of your personal home entertainment center. With a high-quality AV receiver you can enjoy your favorite movies and series in an impressive picture and sound quality. 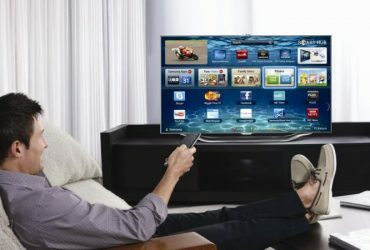 Whether Blu-ray player , DVD player or other devices, they are all connected to the receiver. Thanks to the AV receiver, you no longer need an extra amplifier in the future. Everything is integrated here and the threads come together in one place. If you want to know which models are recommended and what distinguishes them in detail, you should go through our large AV receiver comparison carefully. However, we do not only present individual receivers, but also explain which aspects are important in the purchase and what the devices generally can do. The guidebook section answers frequently asked questions about AV receivers. With the Denon AVR-X540BT 5.2-channel Full 4K Ultra HD AV Receiver you decide on a model that brings a more than decent package at a comparably affordable price. The functionality is exemplary and also in terms of workmanship you get good quality here. 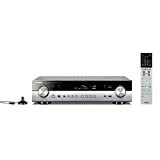 This AV receiver offers 130 watts per channel and is compatible with the Denon music streaming system HEOS. Premium sound is provided by Dolby TrueHD and DTS-HD master audio. 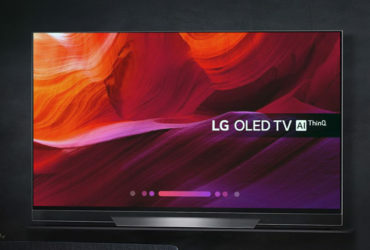 A 4K / 50Hz full-rate passthrough is also one of the product features of the device as well as a Bluetooth function for streaming music. Practical is the automatic calibration of the built-in speakers, which is done via the included measuring micro. The AV receiver has five HDMI inputs, three of which feature full HDCP 2.2 support. You can play with the device a variety of file formats, from MP3 to MPEG4 to WMA and AAC. You are welcome to use the USB input on the front panel to play files directly from there. If you want, you can easily control the AV receiver from your smartphone – the Denon 500 series Bluetooth Remote app makes it possible. Both the environment and your power consumption are protected by the eco mode of the device. The package includes not only the Denon AVR-X540BT 5.2-channel Full 4K Ultra HD AV Receiver itself, but you also get the microphone for sound calibration, a remote control with batteries and a power cord included. There is also an in-room FM antenna, AM loop antenna and a user manual. This AV receiver was equipped with Bluetooth, so you do not necessarily need a cable to play something about it. For example, connects your smartphone to the receiver simply and wirelessly. The Yamaha Compressed Music Enhancer, specially optimized for audio transmission via Bluetooth, ensures a lively sound. The Yamaha receiver is characterized by a discrete amplifier design for best sound quality and an AV setup guide for quick setup. Even more powerful bass is provided by the manufacturer’s exclusive bass extension technology. The subwoofer trim control, on the other hand, improves the low frequencies. So that the Yamaha RX-V383 AV receiver does not consume too much power, it was equipped with an ECO mode. This helps you reduce power consumption by up to 20 percent. In addition, the so-called Auto Power Down function, which ensures an automatic shutdown of the device – optionally after 20 minutes, 2, 4, 8 or 12 hours. In addition to your Yamaha AV receiver, the set includes a remote control, batteries, FM / AM antenna, YPAO microphone, user guide, and quick start guide. The Pioneer VSX-330-K 5.1 channel AV receiver is in the mid-range price range. This device is well-suited if you not only value a high degree of user-friendliness, but also a multifaceted set of functions. You can combine the receiver with the Pioneer BDP-X300 Blu-ray player. A total of six channels offer you each 80 watts of power – in addition, the flat AV receiver has a large variety of connections. You can connect your Pioneer AV receiver not only via USB, but you also have four HDMI inputs, an HDMI output, a phono connection and an Ethernet port to choose from. With WLAN and Bluetooth, the relevant wireless connection technologies are also available for you. The MCACC automatic calibration system ensures a high level of comfort and perfect settings. The unit has an FM tuner and you do not have to do without Dolby TrueHD and DTS-HD. In addition, you may be happy about a sleep timer and a automatic shutdown. If you love music, you might be amazed that various music sources such as Apple AirPlay, Spotify, Tidal or Deezer have already been integrated. Whether streaming in the best quality or Internet radio – you have the choice. Thus millions of titles are available to you quite simply. Your Pioneer VSX-330-K 5.1 Channel AV Receiver comes complete with a remote control, matching batteries, a speaker microphone, an FM wire antenna, a power cord, and the owner’s manual. The 5.1 receiver gives you a maximum output power of five times 100 watts, a decoding of Dolby TrueHD and DTS-HD master audio is guaranteed. The Phase Control feature effectively eliminates delays between the five channels. This optimizes the multi-channel sound. The AV receiver is 3D-capable, so you can enjoy your favourite movies in your home environment with all your senses. Four HDMI inputs provide flexible connection options. If you are a friend of Apple devices, you should be especially happy that you can connect your iPod, iPhone or iPad directly to the receiver. The USB port on the front makes it possible. Thanks to 4K Ultra HD Pass Through, the device is ready for movie enjoyment in pin-sharp picture quality. The ECO mode, on the other hand, helps you to save energy effectively. The energy requirement is analyzed in real time and adapted accordingly. Of course you can also make manual settings. The Pioneer HTP-074-B 5.1 AV Receiver comes complete with a remote control, batteries, power cord, FM wire antenna, and AM loop antenna. The Onkyo TX-SR252 (B) Home Theater Receiver is available for purchase at an affordable price. Customer reviews and expert opinions have a clear tendency: This device is recommended and not only looks elegant, but offers you a lot of power as well as versatile functions. The model is characterized by the fact that it is a 5.1-channel AV receiver with five power amplifiers. Each of these power amps brings 100 watts of power. Thus, you can look forward to a picture and sound experience as in the cinema. This is also ensured by the support of Dolby TrueHD and DTS-HD. Use the Onkyo Receiver as a 4K-capable control center of your home theater and connect it, for example, with your Blu-ray player or your game console. The Onkyo AV receiver has four HDMI inputs, which have copy protection HDCP 2.2 and 4: 4: 4 color space, and an output for Ultra HD. The convenient USB port on the front panel of the device allows you to easily play back MP3s, WMA or AAC files directly from the drive. So that there are no complications during installation, the connections for loudspeakers and external devices on the back of the receiver were clearly marked and labeled. You are welcome to configure the AV receiver so that you can switch it on and off with your conventional TV remote control. The Onkyo TX-SR252 (B) Home Theater Receiver comes bundled with a remote control, two AA batteries, an FM wire antenna, AM loop antenna, and user manual. In the mid-price segment, the Pioneer VSX-531 (B) 5.1-channel receiver moves. With devices of this manufacturer, you almost always make a good purchase, as quality and a high-quality workmanship are offered. This AV receiver is no exception in this regard. The AV receiver masters all popular video and audio formats such as DTS: X, Neural: X, Dolby Digital Plus, Dolby TrueHD, DTS-HD Master Audio, Dolby Vision, DTS-HD High Resolution Audio, 4K Ultra HD, 3D Ready and many more. Enjoy your movies on Blu-ray Disc in the best quality. Thanks to WLAN and Bluetooth, you have many options for streaming your favorite music. So you can easily access on Apple AirPlay, Spotify, Tidal, Amazon Music, Deezer or Internet radio and select your favorite playlists. The device is multiroom capable and has been equipped with an FM / AM radio with RDS. The MCACC automatic calibration system corrects any acoustics problems, while the ECO mode helps save energy. In addition to the USB port and the HDMI ports expect a phono input, an audio in and a LAN port. The package includes the Pioneer VSX-531 (B) 5.1-channel receiver, a remote control with matching batteries, a speaker microphone to set up the speakers, an FM wire antenna, an AM loop antenna, a power cord, a quick start guide and a more detailed user guide. A little more money you have to take in hand, if you want to have the Sony STR-DN1080 7.2 channel 4K UHD AV receiver in your living room. This device is perfect for those who demand high sound quality. Thanks to the high-resolution audio technology, you can feel the finest sound nuances and enjoy your music in studio quality. Dolby Atmos creates an impressive 360 ​​degree surround sound in your home. DTS-X does the job of adapting the multidimensional sound in real-time to the configuration of your speakers. In no time you will find the optimal position of the speakers for a perfect sound experience. But not only in terms of sound, but also in terms of image quality, this AV receiver has a lot to offer. Enjoy your movies and TV shows in excellent 4K resolution. High Dynamic Range optimizes image contrast and brightness. Use your Spotify app as a remote control, transfer your music throughout the apartment with SongPal Link, or play songs directly from your Apple AirPlay compatible devices. NFC One-Touch supports you in the rapid connection via Bluetooth. This Sony AV receiver has Chromecast already on board. Regarding connections was also not bothered. So there are a total of six HDMI inputs and two HDMI outputs. A special HDMI output for ancillary rooms is also included. You can also use the USB port. The Sony STR-DN1080 7.2-channel 4K UHD AV receiver in timeless black does not just make a visual impact – above all, it’s a highly recommended model if you value the top sound in your home theater. The Yamaha RX-S601DTI slimline AV receiver with DAB is a high-priced device in a noble titanium look. However, this device does not only look good in your living room, but also convinces in technical terms. The slim and compact 5.1 network AV receiver brings as a highlight an integrated DAB / DAB + digital radio. For easy connection, WLAN and Bluetooth are on board. In addition, high-resolution audio, HDCP 2.2 and 4K Ultra HD pass-through are among the features of the stylish device. Furthermore, the receiver is capable of processing 3D signals. The Yamaha AV Receiver provides you with MusicCast a new, innovative system in terms of network audio. So you can use a wireless network to connect various components such as your AV receiver, a soundbar, network speakers and more. Stream your favourite songs from your smartphone or computer to other MusicCast components. Even from your Blu-ray player or TV you can play in this way very comfortable music.Instantly send your sound via bluetooth to your Bluetooth speakers or Bluetooth headphones – the Yamaha Compessed Music Enhancer delivers superb sound even when wirelessly transmitted. Whether Juke or Spotify, music streaming is also a pleasure with this AV receiver. The Spotify Connect feature allows you, for example, at home the same music that you’ve just heard on your smartphone to continue to run without delay on the domestic system. Apple AirPlay is also supported by this device. For a particularly easy operation you can use the Yamaha AV controller app. In addition to the Yamaha RX-S601DTI slimline AV receiver, the package includes a remote control with matching batteries, an antenna, a YPAO microphone and the operating instructions in the form of a CD-ROM. Wi-Fi and Bluetooth ensure that you can wirelessly connect your AV receiver to music sources of all kinds at any time. Listen to internet radio, for example, access Apple AirPlay or choose your favorite streaming service like Amazon Music, Spotify, Deezer or Juke. As a music fan you will also enjoy the fact that the AV receiver is compatible with every HEOS speaker. The so-called multiroom audio technology allows you to listen completely wirelessly in different rooms of your favorite sounds. The Denon AVRX1400H 7.2-channel AV receiver was equipped with an Eco mode, which automatically adjusts the power consumption – depending on the current volume. A handy thing is the setup wizard, which helps you set up the receiver. Even if you are not so versed in technique, this leads you to the optimal picture and sound settings. In the upper middle price range the Onkyo TX-NR474-B 5.1 channel AV receiver is to be classified. The network receiver is based on a high-current amplifier system and is suitable for anyone who wants to enjoy films and music in the highest quality at home. The innovative Chromecast technology for uncomplicated music enjoyment is already integrated with this AV receiver. The 5.1 receiver from Onkyo supports 4K / 60 Hertz, so you can look forward to razor-sharp moving images. 135 watts per channel provide the necessary power for your home cinema evenings, music sessions or football afternoons. Excellent sound is provided by 3.1.2 channel Dolby Atmos and DTS: X. To enable a wireless playback of various devices, this AV receiver has been equipped with Wi-Fi and Bluetooth. Use Apple AirPlay to find your favorite songs or connect to Spotify to access your playlists. The Advanced Music Optimizer improves the sound quality when playing compressed audio files via the receiver. FlareConnect ensures that you can play audio content wirelessly even in different rooms. Whether CDs, MP3s or music streaming services, enjoy your favorite sounds throughout your home. Together with your Onkyo TX-NR474-B 5.1 channel AV receiver you will also get the right remote control. If you do not want to compromise on equipping your home theater, buying a seven-channel receiver makes sense. A comparatively inexpensive entry-level device in this class is the Pioneer VSX-933-S 7.2 Network AV Receiver. This model is easily capable of driving a complete Dolby Atmos speaker set. This Pioneer AV receiver is also equipped with the innovative “Direct Energy” technology, which not only minimizes the power consumption of the device, but also the waste heat. If you want, you can turn the receiver into a multiroom system with the help of suitable Wi-Fi multiroom speakers in no time – that means wireless music enjoyment throughout the house. Of course, there are connections such as HDMI, USB, Phono or Ethernet. Controls the functions of the Pioneer VSX-933-S 7.2 Network AV Receiver conveniently using the supplied remote control. The multiroom world is always under control with the help of the free Pioneer remote app. Do you still have a classic stereo in your living room? Then you actually belong to a minority. The AV receiver has been enjoying unrestrained popularity for several years now. As the center of every well-equipped home theater, it fulfills various functions. But what exactly is an AV receiver? You’ll need to think of a multi-channel hi-fi amplifier that coordinates the playback of a wide variety of video and audio formats from multiple sources. In your AV receiver run in a sense “the threads together”. Sound or music is supplied by your Blu-ray player, DVD player or MP3 player and distributed from the receiver via the existing outputs to devices such as TVs or speakers. You can also connect amplifier output stages. 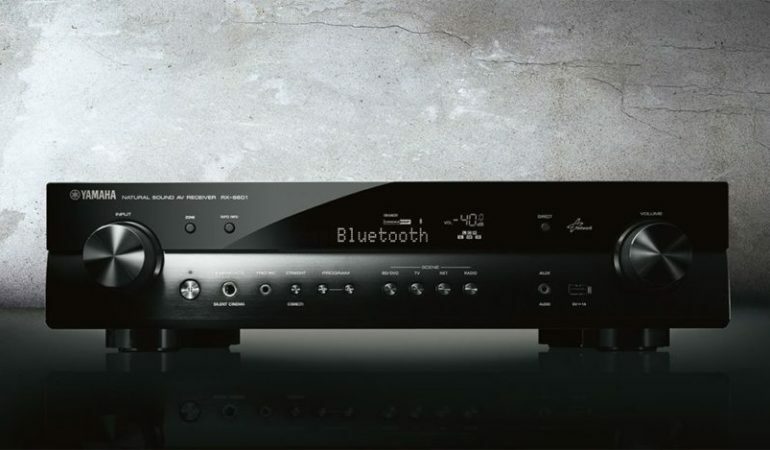 Modern AV receivers, which are also referred to as hi-fi receivers, even allow the wireless playback of desired content – Bluetooth and WLAN is thanks. It starts with simple 5.1 receivers, which have five audio channels and a subwoofer channel, and goes through seven-channel devices to models with eleven audio channels and two subwoofer channel. If you want to watch movies in Full HD, your AV receiver should be compatible. You do not have to resort to an expensive high-end device. As you can see in our comparison here on this page, there are a lot of recommended mid-range models. The deciding factor is how high your personal claims are and which functions are really important to you. In the following, we will discuss in more detail which aspects you should consider when choosing your future AV receiver and what are the advantages and disadvantages of these devices. What is an AV receiver for? It is no coincidence that the AV receiver is repeatedly referred to as the “home theater control center“. Because this initially quite unimpressive acting box takes over the same functions of several devices. Without the receiver, you would need in your living room space for a pre-amp, a power amplifier, a surround decoder, a radio tuner and a network player. It replaces up to five different devices. Even the direct reception of internet radio stations is possible on some models. A good AV receiver dominates all popular formats, whether Dolby TrueHD or DTS-HD. Depending on the model, you can also use the AV receiver to play content in Ultra HD or 3D. If the device of your choice is equipped with WLAN and Bluetooth, playback can even be wireless. To easily connect your external devices such as Blu-ray players or TVs, the AV receiver should have the widest possible variety of connections. HDMI inputs and outputs are more or less a requirement these days, but a USB connection is always a practical matter. So you can even play content directly from the disk. What are the advantages and disadvantages of an AV receiver? An AV receiver naturally brings not only benefits. These functional devices also have their downsides. So that you can get a holistic picture and especially know what things to pay attention to when buying. At least you can avoid high purchase prices by making a careful price comparison. For example, if you’re lucky, you’ll find high-end models at special asking prices online. In any case, you should look that your future AV receiver can play all sound formats that you would like to play. Which AV receiver to buy? Which performance should the device have at least? Do you want to play content in Ultra HD or 3D? How important is high resolution sound? Which sound formats should be supported? Do you value Bluetooth and WLAN? Which connections (HDMI, USB, audio input, etc.) do you need? Would you like to be able to access streaming services directly? Should your future AV receiver have an Eco mode? Other extras, such as an automatic calibration system or the option to control the device via a smartphone app, can provide you with added convenience. Ultimately, however, the price-performance ratio and the appearance will play a certain role when it comes to the final purchase decision. What types of AV receivers are there? 5.1 receivers – this form is still the most widespread. The system, which works with the receiver itself, consists of a central center box, two surround speakers, two side speakers and the subwoofer. 7.1 Receiver – in this variant, two more speakers are added compared to the former model, so that the surround sound is improved a little. 9.1. and 11.1 receivers – you want 3D sound? Then you should opt for these premium variants. 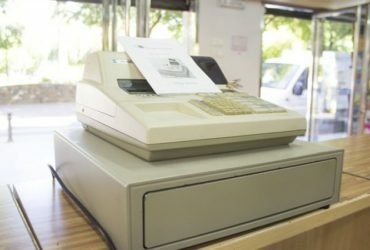 It is clear that the more modern the equipment is, the more money you have to spend on such a device. In that sense, you should consider what your aspirations are and how you can best balance them with the budget available to you. Which manufacturers offer AV receivers? We have already considered some models of the listed companies in our AV receiver comparison. If necessary, you will also discover devices of completely different makes. Even no-name receivers from the offer brochure of the supermarket do not necessarily have to be of inferior quality. It is crucial that they bring everything that you hope for in terms of functional diversity. Buy AV Receivers – Online or Retail? You can buy your future AV receiver today not only in stores, but of course on the Internet. What are the respective advantages and disadvantages of both approaches? What speaks for the on-line purchase and which for the retail trade with you around the corner? We have put together the important arguments for you.With a purchase in retail, you not only help secure jobs locally, but also benefit from expert advice. The factor of advice is still crucial for many consumers to prefer a visit to the specialty store. Because here you are still dealing with real people who can explain to you different devices and their functionality and answer any questions. In addition, you have the opportunity, the eligible AV receivers sometimes “right touch” to check their processing and robustness. Under certain circumstances, the dealer even offers you a mounting service that delivers the device and everything properly set up in your living room. Negative aspects of the purchase in the store, above all, the directions to call. Depending on how far the track is, you incur not inconsiderable additional costs in the form of train tickets or fuel. You also must not forget the time that goes by for the whole action. Finally, you must be aware that the choice in the business can always be very limited and you will usually pay much more for an AV receiver as if you start a research on the World Wide Web to do so. The biggest advantages of an internet order are the low prices and the unrivaled selection on the net. No matter which preferences you have, in the context of online research you can get within a few minutes an overview of the currently available AV receivers. If you have questions about a certain device, you can not personally help, but at many online shops there is at least the possibility to contact the operators via a contact form. Not unimportant is the point that you get the AV receiver in your online order in any case to the front door . If you have problems with setting up, maybe someone with technical skills in the circle of friends can help you? If the delivered device does not suit you, you have the option to send it back without giving a reason. The legal right of return makes it possible. How much watts should an AV receiver bring? A central question when buying AV receivers will not least be the performance. How much power should the device bring with it so that you can sound your living room properly? You’re probably going to be amazed now, but in reality the watt count does not matter so much. A few watts of difference are hardly noticeable. Somewhat noticeable in terms of volume, it is only when one device, for example, brings 100 watts and the other 200 watts. Much more important than the power in watts, for example, is the desired application. Do you want to have bombastic surround sound like in the cinema or should it rather be a decent sound in your home? It is worth thinking about such points much earlier. AV Receiver – how much air should be up? When setting up the new AV receiver in your living room you should not only see that everything is harmonically optical. Because the device should not be too tight, for example, to be positioned on walls or wood paneling, because it simply needs a little “air”. In the worst case, too little space could cause serious damage to the inside of the receiver, with today’s models usually having protection circuits that prevent just such a worst case. Nevertheless, it is recommended to build the AV receiver so that it is supplied with plenty of air from all directions. In particular, the ventilation slots, which are usually found on the top of the device, should always remain free. If you keep at least three centimeters at the top, everything should be in the green. If in doubt, you can also drill ventilation holes in your wooden shelves to prevent eventuality. In addition to factors such as performance or functionality, the power consumption of electronic devices has become an important feature that you should check before making a purchase in any case. Especially with an AV receiver, this aspect may possibly be particularly significant. Because there are models that can turn out to be bad power guzzlers in the longer term. Depending on how often you use the device, this can also be quite noticeable on your electricity bill. The average power consumption of AV receivers is about five to 15 watts. Please inform yourself carefully. By eliminating the stand-by mode and switching off the AV receiver every time, you can save a lot of energy and money in the medium to long term. To power to save, you can also have features like Bluetooth or WLAN deactivate when not in use. And we have another tip for you, as you can already prevent the purchase of increased power consumption: Decide on a model that has been equipped with an Eco mode. An automatic shutdown also prevents unnecessary operation of the receiver, if you should forget, for example, even in the evening, this off. Streaming via the AV receiver – what should be considered? Whether Spotify, Tidal or Juke – streaming services are in full swing. While hardly anyone buys classical CDs and the purchase of MP3 files seems outdated, streaming music over the Internet is experiencing a boom. If you are one of the friends of such offers, then you should also look at the Receiverkauf that this offers you a good performance in this regard. In short: The AV receiver must be internet-enabled in any case. A connection to the online services can usually be established either via Bluetooth or WLAN very easily. Above all, not even annoying cables are needed that do not look pretty in the living room. Whether from your smartphone or your tablet – effortlessly send your favorite tracks to the AV receiver and chase them in the finest sound quality through your high-quality speakers. An AirPlay interface is a must for fans of Apple devices like the iPhone. What is the automatic calibration function good for? Maybe you already noticed some product descriptions here on this page. Some AV receivers bring as a special feature with a so-called automatic Einmessfunktion. That sounds great at first, but what exactly does that mean, and in what ways can this feature prove useful to you? The fact is: So that you can enjoy the best possible surround sound in your living room, the AV receiver as the center of your home cinema and the speakers positioned in the room must be in perfect harmony with each other. For this, it is important that everything is in the right place and coordinated. For a layman this is not so easy to accomplish. The automatic calibration function helps you to solve this problem, as the AV receiver and its integrated measuring microphone automatically find out which settings are ideal in terms of volume. So you do not even have to try it yourself or even get an expert for expensive money. How can cable salad be prevented? Who does not know it? Huge cables are lying around in your living room and you are losing track of all the different cables. Even with your AV receiver, one or the other will converge on cables. So it’s best to see from the beginning that you keep everything neat. A good idea, for example, is to keep the cable routes as short as possible. This will save you extra extension cables. It is also recommended to label the individual cables from the beginning. You can do that, for example, with different colored post-its that you stick to the respective cable. So, when you finish something, you know exactly what is going on where you are after. If you want to have it very neat, self-made cable ducts are a great thing. With that you finally tell the chaotic cable salad to fight.